You have likely heard of the “C Word”. And it probably conjures up a reaction. For some it might mean one thing and for others it’s something else. Today I would like to share with you a different kind of “C Word” and I believe this one is destructive as well. 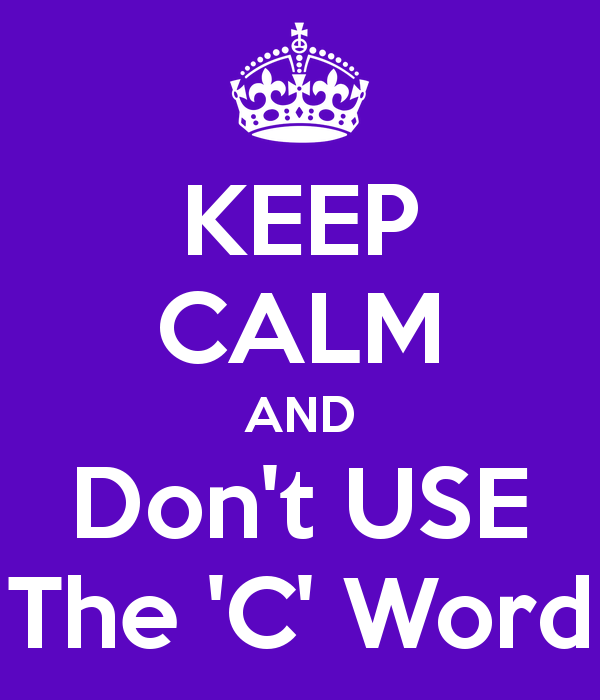 Another “C word” that can be destructive is the use of a certain swear word, a most debase and disgusting one. Curse words said in anger are toxic, but this one said to a female is considered the lowest possible insult. 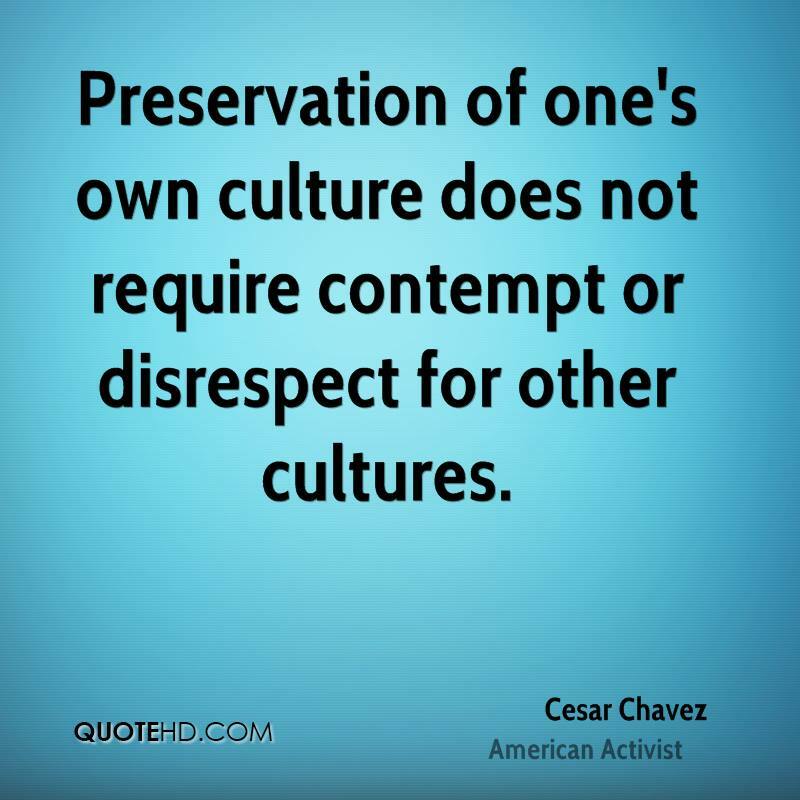 As a woman who was once called a “C–T” by her ex husband I know how degrading that word is. It is hard to imagine that humans need to lash out with hurtful names. They may not see the scars left behind, but they are there. 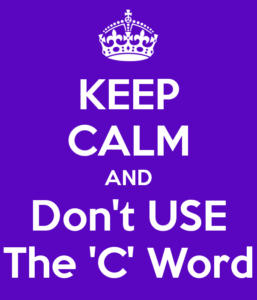 But this post today is about the third “C Word”. One that permeates our lives often without us ever really realizing it. 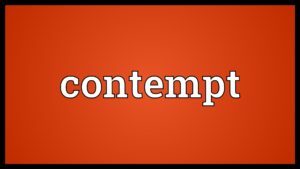 I am taking about CONTEMPT! the feeling that a person or a thing is worthless or beneath consideration, feeling of distain or despise towards another. 2. .disregard for something that should be considered. 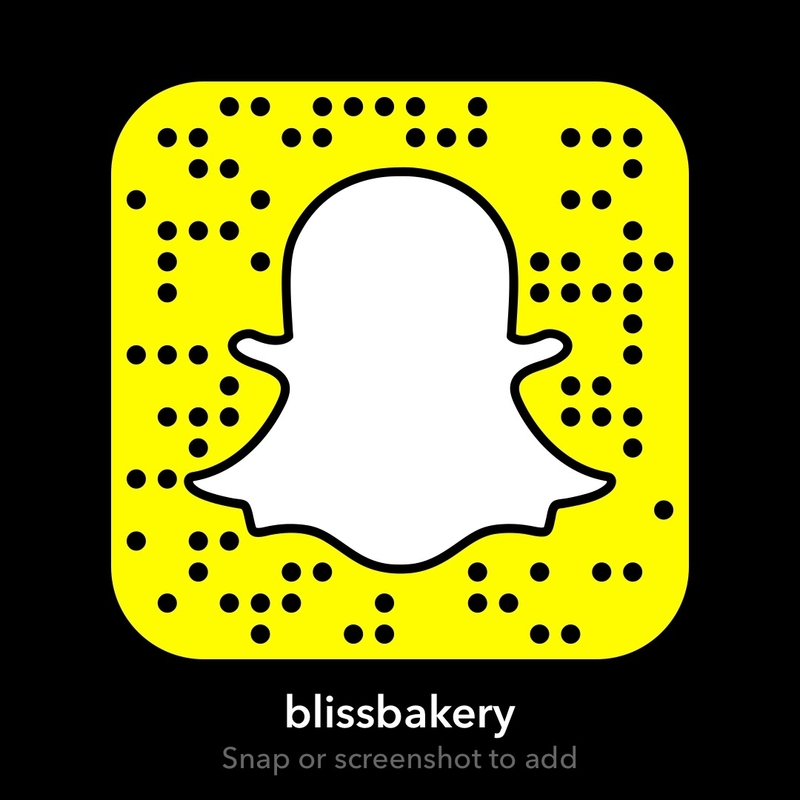 willful disobedience to or open disrespect for the rules or orders of a court (contempt ofcourt) or legislative body. an act showing such disrespect. 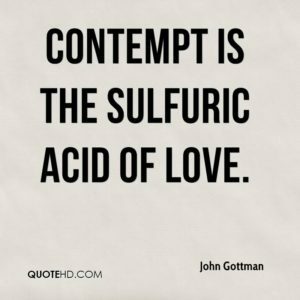 The most fleshed out and detailed description of CONTEMPT and its effects is found in the groundbreaking research of Dr John Gottman. He studied married couples and was able to predict within 95% accuracy if a couple would get divorced. 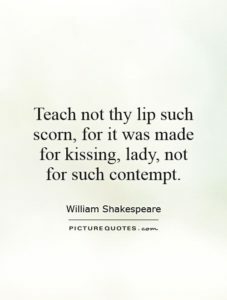 The one component present in the relationship, CONTEMPT! 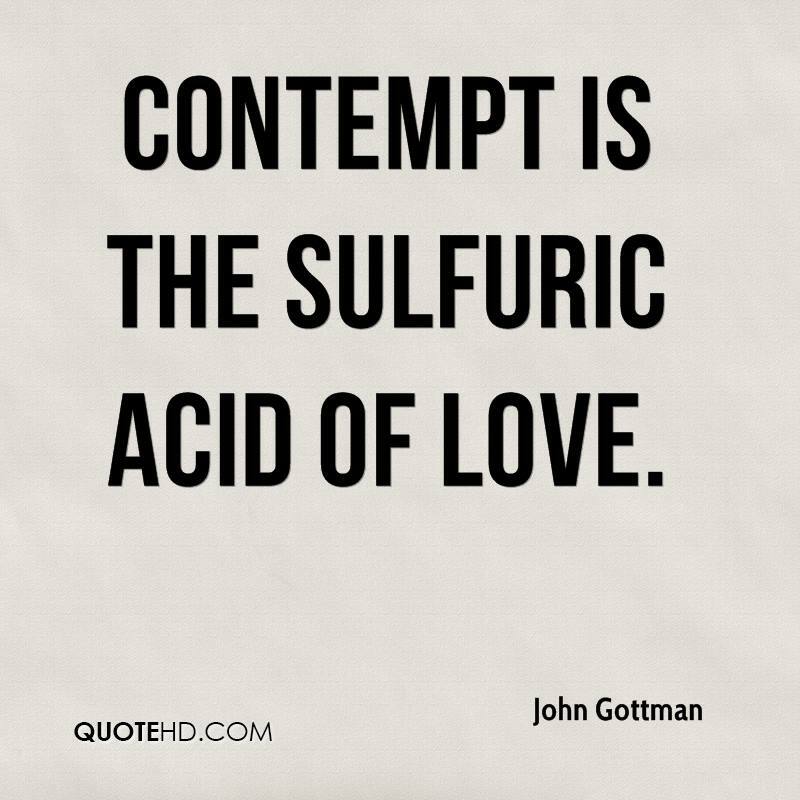 He says it is the sulfuric acid of love! 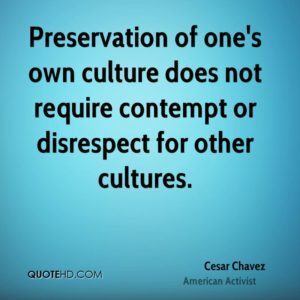 Contempt is not just disrespect, it is disrespect’s evil cousin. It looks down on others with disgust from a position of superiority. Personally, this is what ultimately led to the demise of my first marriage, not infidelity, or even being called names (like the other c word). 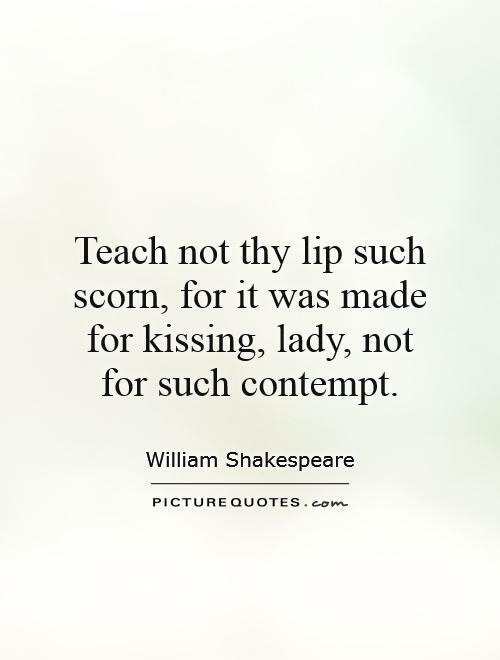 But those things were born out of contempt, if that makes sense. Because I am a non conflict person, I stayed silent and took the invisible beating. But the bruises on my heart were there. However, it has made me more aware of the effects of this soul destroying behavior. 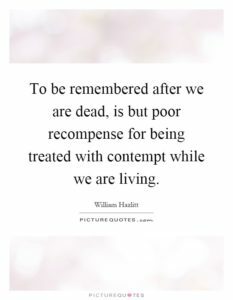 There are many people who act with contempt; people we know personally (family, coworkers, friends), and others we don’t know (business owners, politicians, and even terrorists). Where did they learn this behavior, was it modeled for them and why do they feel the need to continue it? 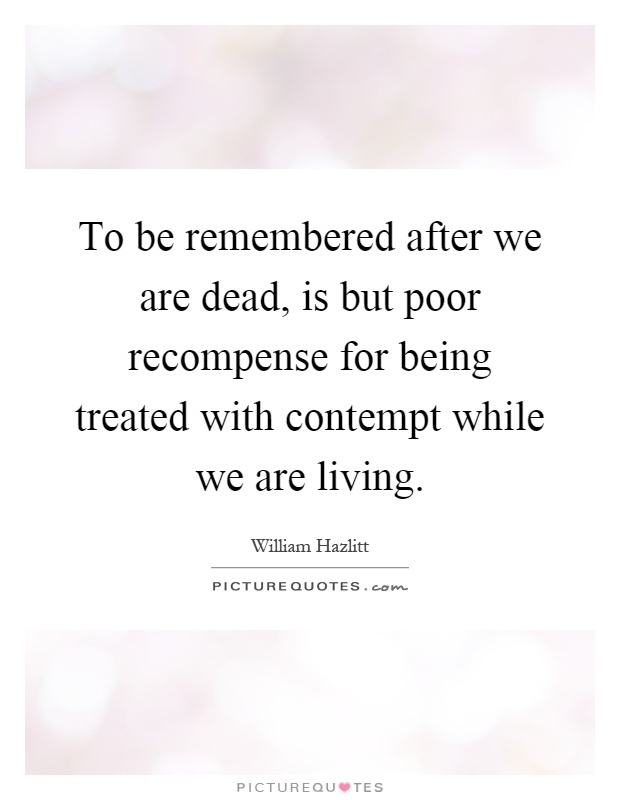 Do they treat some people with contempt and others not, and what are the motives behind that? 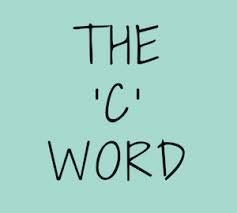 Though Dr. John Gottman and his wife’s research focuses on marriage and family relationships, I believe all human interaction is negatively affected by this third and dangerous “C Word”. In fact, research has shown there is a higher incidence of physical/medical illness in relationships which one or both engage in contempt. But there is an anecdote for contempt and that is appreciation and love. They have certainly helped me heal. 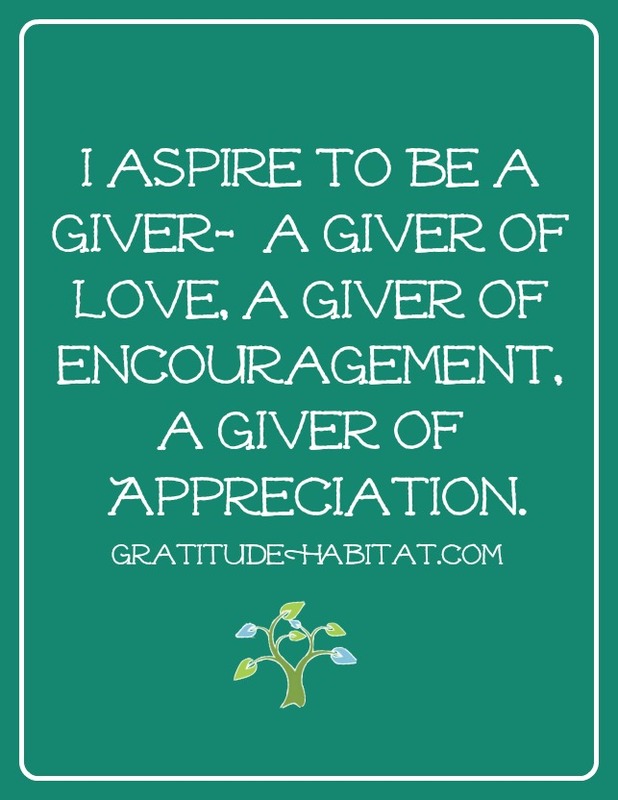 By spreading love and sharing appreciation I hope others will recover too and pay it forward! 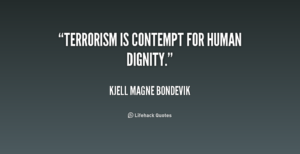 Many people in this world are subjected to contempt everyday; children, minorities, disabled, elderly, the sick, poor and disenfranchised. 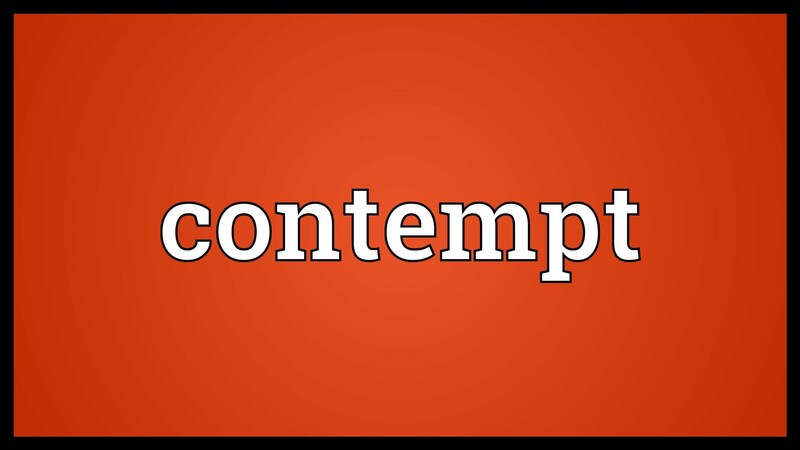 Contempt can come from their spouse, parent, children, care takers, strangers, or society at large. Since there is no such thing as an innocent bystander (as we are all guilty bystanders if we see an injustice and do nothing) I believe we can make a difference . 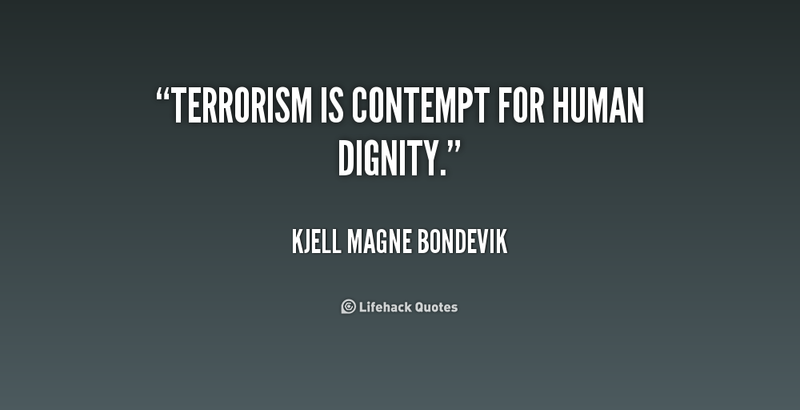 While we may not be able to stop the contempt in others, we can question it and stand up to it. Most importantly we can offer comfort and support to those on the receiving end. Encourage them to not use that same form of negative interaction that was modeled. 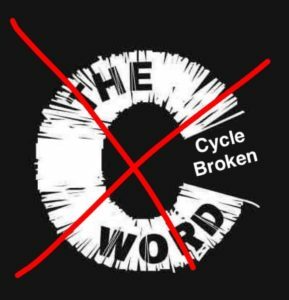 And that in turn could help break the cycle of the “C word”. In modern society, when there is an infectious disease and an anecdote is ingested, it prevents/stops the spread of the disease. 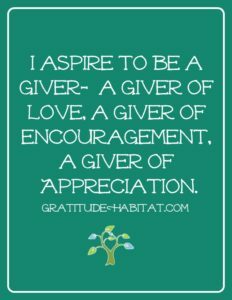 So my hope is that if we continue to share love and appreciation, that eventually CONTEMPT will be eradicated. And we will all treat one another with respect, dignity and kindness! < Previous Foodie Fieldtrip Friday: The Future’s So Brighton! Great post Karen, couldnt agree more with you. We need more of the L word.